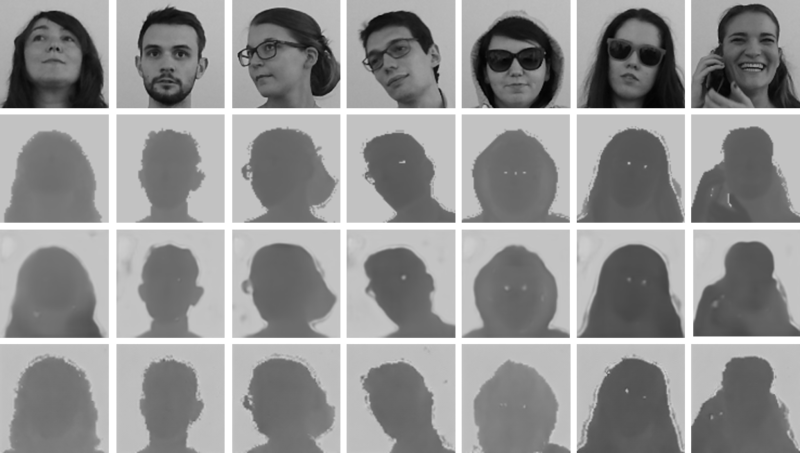 We investigate the Face Generation task, inspired by the Privileged Information approach, in which the main idea is to add knowledge at training time -- the generated faces -- in order to improve the performance of the presented systems at testing time. 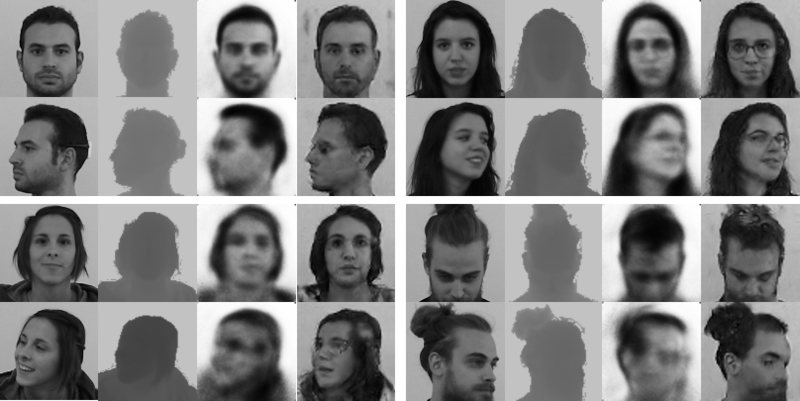 Is it possible to generate gray-level face images from the corresponding depth ones? 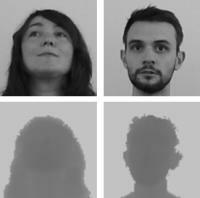 Is it possible to generate depth face maps from the corresponding gray-level ones? Experimental results confirm the effectiveness of this research investigation. In CVPR 2017 we proposed the first version of the Face-from-Depth model, based on an autoencoder-like architecture. 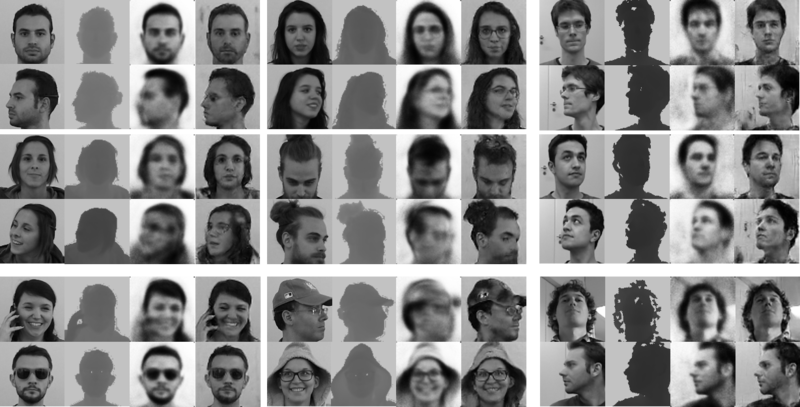 A new Face-from-Depth architecture, which exploits the recent Deterministic Conditional GAN models to reconstruct gray-level face images has been submitted at TPAMI. To the best of our knowledge, this is one of the first proposals to generate intensity images from depth data for the head pose estimation task with an adversarial approach. Moreover, we evaluate and check the overall quality of the computed face images and results confirm their high quality and accuracy. By following an image-to-image approach, we combine the advantages of supervised learning and adversarial training, proposing a conditional Generative Adversarial Network that effectively learns to translate intensity face images into the corresponding depth maps. Furthermore, we show that the model is capable of predicting distinctive facial details by testing the generated depth maps through a deep model trained on authentic depth maps for the face verification task. Detail accuracy is still an open problem with Conditional GANs and Depth Estimation! Finally, we note that our approach is able to produce overall accurate views of the generated facial depth maps, preserving the shape of the face and the garments.